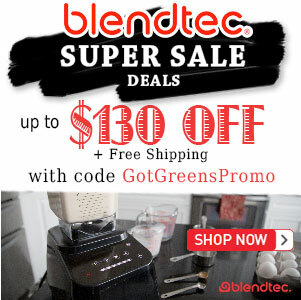 How to Make Your Green Smoothie Smooth - Got Greens? How do you make your green smoothie so smooth? One of the most important things about drinking green smoothies and wholefood juice is texture. It’s not the color, and it’s not the flavor. If I had to choose one single factor that stands in the way of most people drinking green smoothies and wholefood juice it would have to be texture. Yes, smoothies are suppose to be smooth. How smooth your drink is makes all the difference in the world – for 3 reasons. 1. Drinks are suppose to be smooth not chunky and when we get a lump on our tongue or fiber in our teeth the experience of drinking it is no longer a pleasure. 2. Texture really effects flavor. 3. 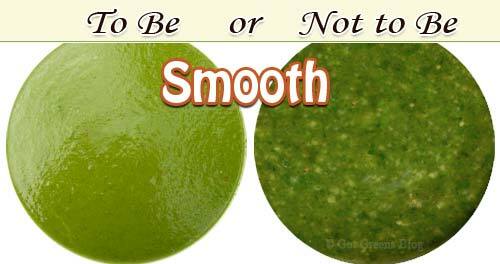 The smoother the texture of your green smoothie the more nutrition that is available. Clearly, the particular blender you use will make a significant difference in texture. 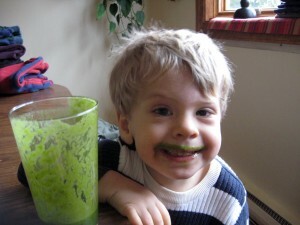 In general, the better the blender, the smoother the smoothie and wholefood juice. Sometimes what seems obvious can get overlooked. You can get a better texture by blending longer. If you like your wholefood juice or green smoothie cold then freeze some of your ingredients prior to blending (frozen fruit works great). The amount of liquid in your blend can effect the texture. If you tend to blend with a lot of liquid (juice, water etc.) try blending with limited liquid added – just enough to get that vortex going then add more liquid to your desired consistency after it’s smooth. How much you blend at a time will effect the texture. In general the less you make at a time the easier it is to make smoother. Full containers can create problems with texture. It is important to note that the advertised volume of a blender’s container is often misleading as it does not constitute the amount that you can blend. Most containers are not designed to blend at full volume. Also, too little volume can result it chunky smoothies. 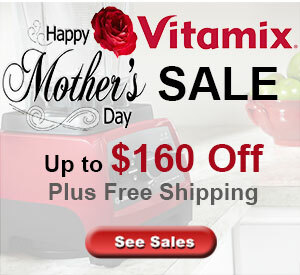 You should blend a minimum of 16 ounces or more, depending on the brand and size of your container. Does your blender have pre-programmed buttons for automatic blending cycles? A programmed cycle runs the same no matter what you put in the blender. Quite often a program cycle is not sufficient to make your wholefood juice or green smoothie smooth. you might need to control the blending manually to produce a smoother result – or at least do more blending after the program has completed. Do you have any tips or ideas to add that work for you? I like how ice adds a smooth texture and cold temperature.